The Vivo 65 is designed to meet the needs both of medical staff and a wide range of patients. It combines comfortable and controllable ventilation with excellent monitoring capabilities to potentially reduce readmissions to acute care facilities. The Vivo 65 is an advanced homecare ventilator designed to deliver secure and comfortable (life-support) treatment to adult and pediatric patients from 5 kg. 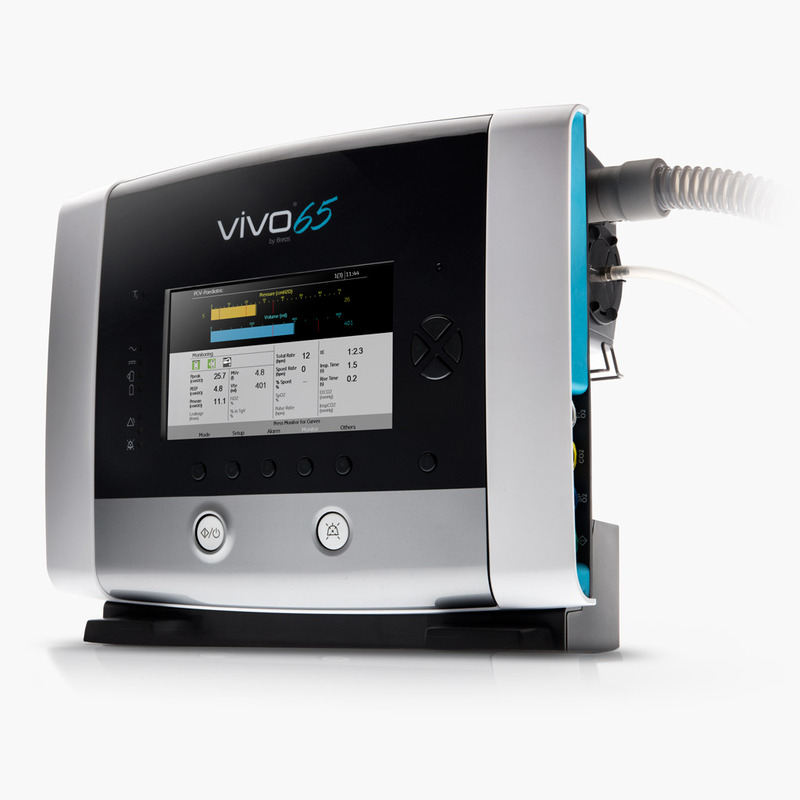 The Vivo 65 can be used for a wide variety of patients thanks to a comprehensive set of modes, circuits and accessories. The dual limb circuit allows for measurement of exhaled volumes providing additional security. The extensive moni- toring capabilities help obtain a better insight into the quality of ventilation. The Vivo 65 is an excellent choice for mechanical ventilation at home, in the hospital and in long- term care facilities. The Vivo 65 is prepared for connection to Breas cloud solutions.